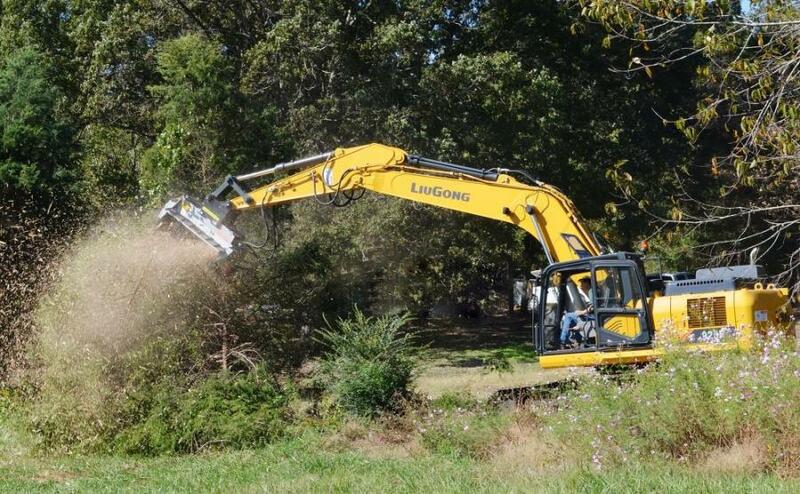 A LiuGong 925E excavator with an FAE forestry mulcher head cleared tree tops with ease. 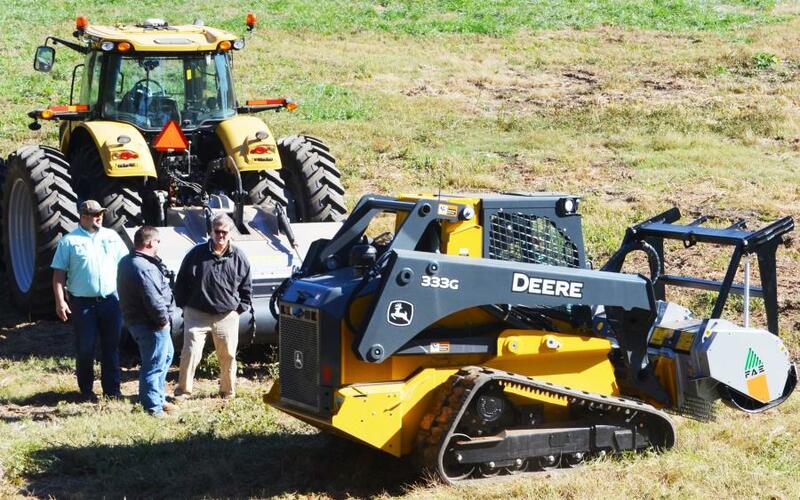 Together with its business partners, FAE USA recently showcased its equipment in action for its Southeast customers and dealers in Belton, S.C. Using multiple land management machines, operators reclaimed a sizeable private lot by removing fallen trees and overgrown brush and stabilizing the soil. Q&A sessions followed each presentation, and customers were able to check out every machine up close and operate whichever ones they preferred. FAE also presented brand new products, including SSL grapples and stump buckets. FAE USA CEO Giorgio Carera; spokesman, singer-songwriter Edwin McCain; and Product Manager Lee Smith opened the demo with greetings and introduction. The presentation started with the DML/HY 100 excavator mulcher, mounted on a Takeuchi TB290 excavator, clearing a tree line and other vegetation. Then, operators removed fallen trees, limbs, debris, brush and other overgrown vegetation using UML/SSL forestry mulchers mounted on John Deere 333 and Takeuchi TL12R2 carriers. In the meantime, a LiuGong 925E excavator with a UMM/EX 150 VT attachment cleared tall freestanding trees and brush on another side of the lot, followed by a Challenger MT675C tractor with SSH-250 forestry tiller. From an untamed terrain to the ready-to-plant soil, the land was reclaimed in no time. 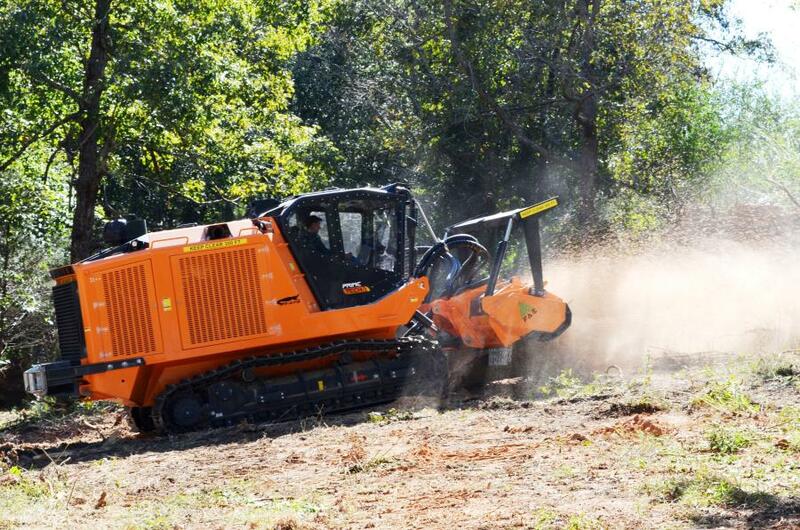 Finally, a PrimeTech PT-475 tracked carrier with a 300 U-250 mulching head completed another high-volume land clearing. The carrier features a turbocharged engine, a superior hydraulic system and a robust yet highly adaptable undercarriage. This machine is highly efficient and utterly unstoppable. 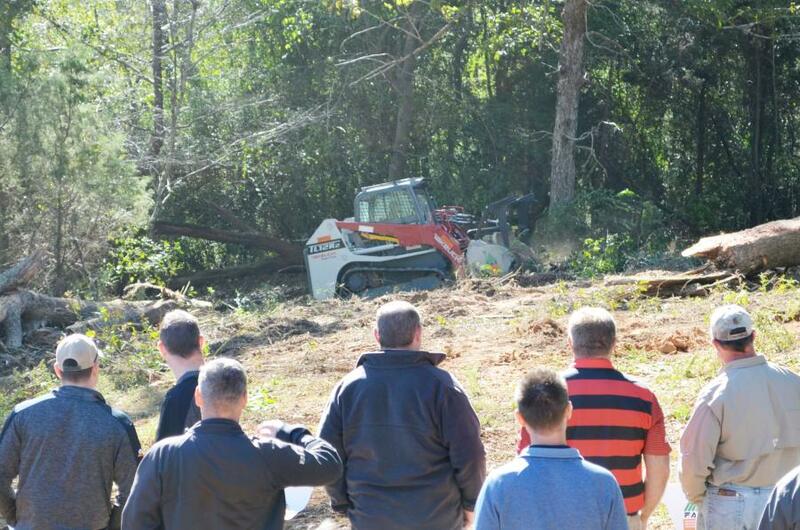 Afterward, attendees had a chance to check out every machine up close and talk to FAE's land clearing specialists as well as John Deere, LiuGong, Challenger, and Takeuchi representatives.